With its temperate climate and clear skies, Key West is famous with those travelers that love the great outdoors and, in particular, the terrific adventures of all water based activities. A snorkeling in Key West charter offers the very best underwater reef experience you cannot afford to miss. 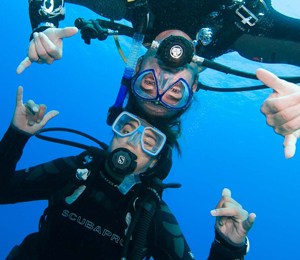 If diving is more to your liking, why not arrange a fun filled Key West scuba dive day out on the water? If some members of your travel group don't fancy a snorkeling in Key West adventure because they don't like getting wet, relax as there are plenty of terrific Key West attractions to keep them well away from the water! Key West's streets are filled with sidewalk cafes, open-air bars, and fabulous restaurants as well as several great tours to occupy their time. In the early evening during the spectacular sunsets Key West is also most famous for, everyone gathers for the casual Sunset Celebration on the Mallory Dock with free entertainers including jugglers, comedians, and musicians. Getting back to what this oasis is most famous for -- a truly glorious and pristine reef that is alive with countless colorful fish, corals, and other spectacular aquatic wildlife that flourishes in the region. Key West is indeed one of the most popular holiday destinations for all water lovers. 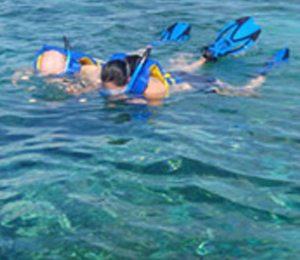 It doesn't matter if you are a certified experienced diver, snorkeler, keen angler, or eco-tourist, a snorkeling in Key West day trip is great fun for the whole family. So Many Water Based Activities To Enjoy! 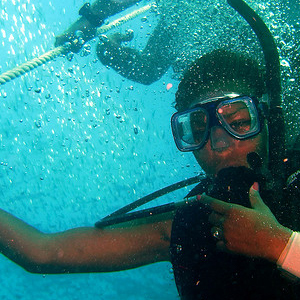 Our fantastic all-inclusive Key West scuba dive cruises are sure to impress! Not ready for Scuba? Relax as most charters also have snorkeling trips for everyone to enjoy! Why not book a leisurely morning snorkeling in Key West cruise and then a fishing Key West afternoon charter? If you still want more water-based fun, finish off with an evening Key West sunset cruise. We guarantee you a fun day of adventure out on the water, whether deep sea fishing or simply snorkeling around on an underwater expedition in the shallows of Key West. You'll keep coming back again and again. 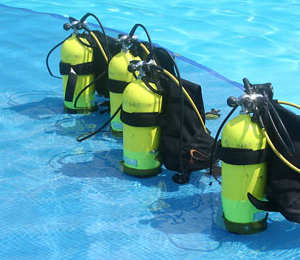 The good news with a Key West scuba dive is that your gear is all provided along with basic instruction. It's certainly true the largest and most pristine reefs are located several miles out and therefore are only accessible by a Key West scuba dive charter, but there's some remarkable snorkeling just off shore along the south side of the island in the Key West Marine Park. Do take a look. Another great reef destination is Sand Key, an inlet that boasts a vast variety of coral and marine life that will delight both snorkelers and scuba divers alike.